Pan-African CDI was founded in 2013 to help combat poverty and underemployment in the African immigrant community in New York, and to help organize the Pan-African Federal Credit Union..
To facilitate the integration of immigrants in New York to American life by providing positive constructive programs for strengthening communities and promoting the ownership of local resources. To promote the economic advancement of low-income and immigrant communities in New York through economic programs, literacy, trainings and civic engagement. To transform the African immigrant experience by combatting economic illiteracy and implementing a positive constructive program for rebuilding communities and reorienting the ownership of local resources. Our target population is the African immigrant population in the Bronx, but we provide our services to the larger community. This is a frequently underserved population due to language and cultural barriers, whose members largely live in major metropolitan centers among distressed communities, “the color-line within the color-line.” The 2010 Census also reveals that 20% of the African immigrant population lives below the poverty line and 41% below 200% of poverty. - In New York City, approximately 405,000 households are unbanked. More than 825,000 adults live in these unbanked households (13% of households). 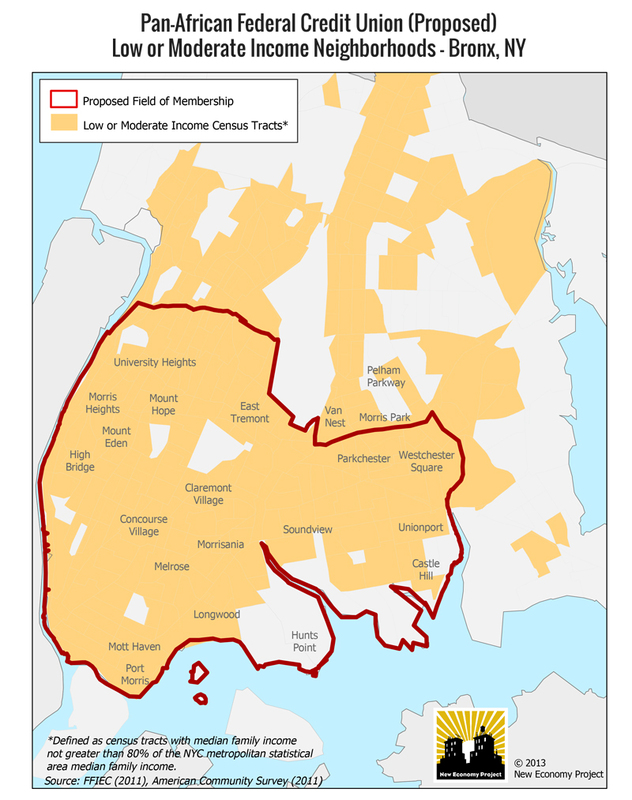 - Nearly half (48%) of unbanked households in New York City are in one of 10 neighborhoods. 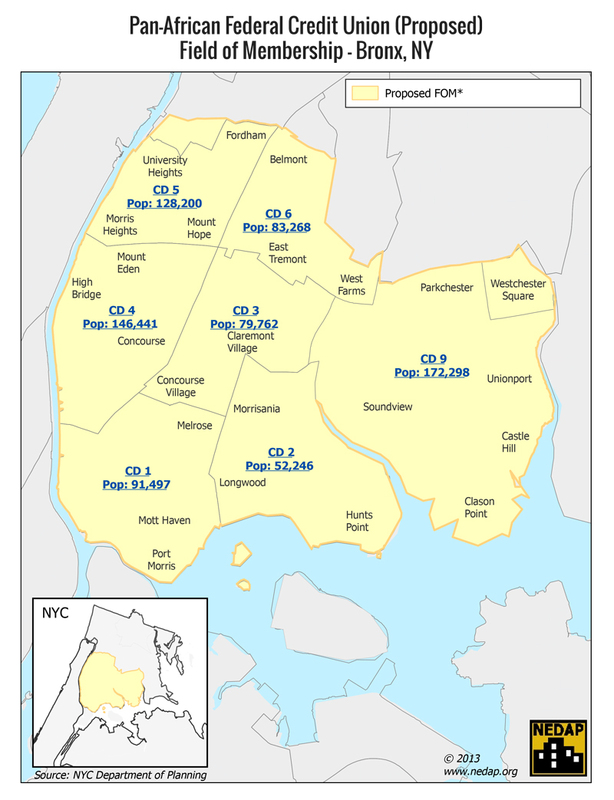 - Residents of the top 10 unbanked neighborhoods in New York City are less likely to have a college degree (19%) than the City average (32%) and less likely to be homeowners (17% compared to 34%). 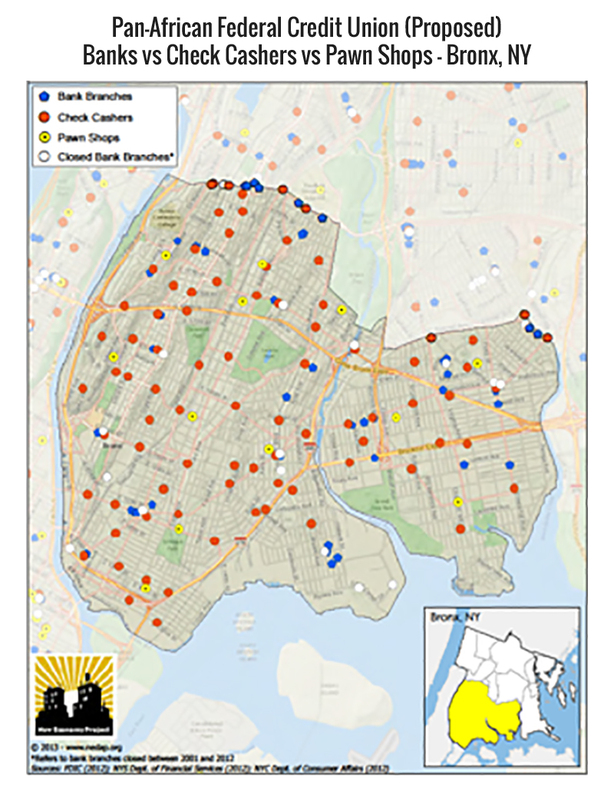 - The Study also found that there are two alternative financial services providers for every bank or credit union in the top 10 unbanked neighborhoods. The unbanked do not have access to savings accounts, loans, and investments and thus are severely restricted in their ability to generate wealth.